The Indian Institute of Art and Design (IIAD) invites applications for its new undergraduate and postgraduate programmes. The IIAD, in collaboration with Kingston School of Art, London, offers UG programmes in Fashion Design, Fashion Business Management, Communication Design and Interior Architecture & Design. It also offers postgraduate programmes in Fashion Design and Fashion Business Management. The Institute offers these programmes through its creative studio-based campus in New Delhi. How to apply: Log on to www.iiad.edu.in. The University of Sheffield, UK is inviting applications for the MA Urban Design and Planning programme starting in September 2019. The programme equips students with the required skills to produce sensitive plans and creative designs, taking into account the financial and practical issues associated with urban development. Students will develop skills in urban design and planning that are ideally suited to the challenges associated with managing rapid urban growth and change. Eligibility: Under-graduates with 60 per cent or first class from a reputable university. Overall IELTS grade of 6.5 with a minimum of 6.0 in each component, or equivalent. University of Southampton invites applications for UK’s only full-time MSc Allergy programme. The programme is designed to help healthcare professionals to gain a greater understanding of allergic diseases and to be able to translate this knowledge into their everyday practice. It will provide effective education and training in the mechanisms, diagnosis, treatment and management of allergic disease. Programme Duration: One-year full-time (Can be extended to two-five years on part-time basis). Eligibility Criteria: Second-class honors degree or relevant post-qualifying professional experience and a minimum overall IELTS score of 7.0; undergraduate medical students who have achieved 60 per cent or above in all of their Year 3 assessments are also eligible to apply. Last date to apply: June 30, 2019 (early applications by March 15 are advisable). The Indian Institute of Art and Design (IIAD) in collaboration with Kingston School of Art, London offers undergraduate programmes in Fashion Design, Fashion Business Management, Communication Design and Interior Architecture & Design. It also offers postgraduate programmes in Fashion Design and Fashion Business Management. 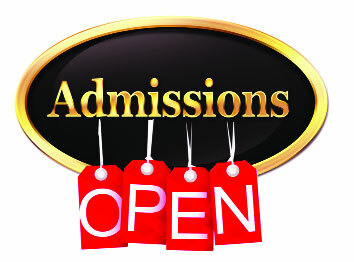 How to apply: Log on to apply@iiad.edu.in.